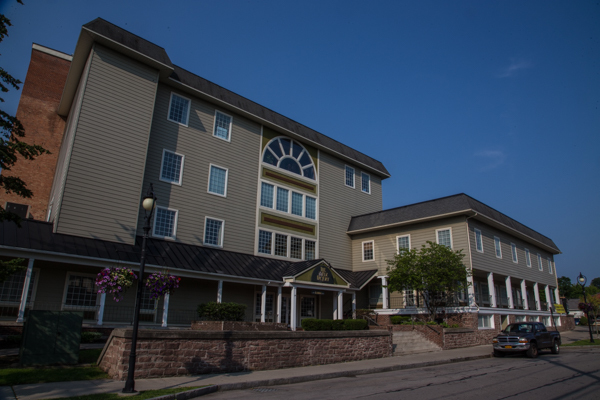 The Law Office of Mark M. Campanella is located at The Box Factory in the Village of Fairport, NY. We are proud to serve our clients and carry on a tradition of excellence from a building so rich in history. Daniel DeLand originally purchased the historic site of The Box Factory in 1852, where he built a factory known as Deland Chemical Works. The business's first product was saleratus soda, a baking ingredient that makes dough rise. Saleratus not only sold nationwide, but its popularity resulted in Deland Chemical Works becoming the first real industry in Fairport. On February 4, 1893, the original DeLand factory suffered a devastating fire that razed the structure. Although a new wooden factory soon replaced it, DeLand Chemical fell victim to intense competition from Arm and Hammer's rival leavening agent, causing the factory to eventually close down. Not to remain vacant indefinitely, the York State Fruit Company eventually took over the facility in 1906, where it began producing cider and cider vinegar. Robert Douglas, founder of the Douglas Packing Company, purchased the business around 1911 and moved his operations into the facility. This was the site where Mr. Douglas invented fruit pectin, and the name Certo soon became a household brand. In 1922, however, the wooden factory suffered another fire, which caused the building to be rebuilt once again, but this time from brick and stone. When Certo eventually moved its operations to Albion, NY in 1947, H.P. Neun moved its box factory into the facility. Ever since then, the building has colloquially been known as the "box factory." In 1985, the building once again burned down. 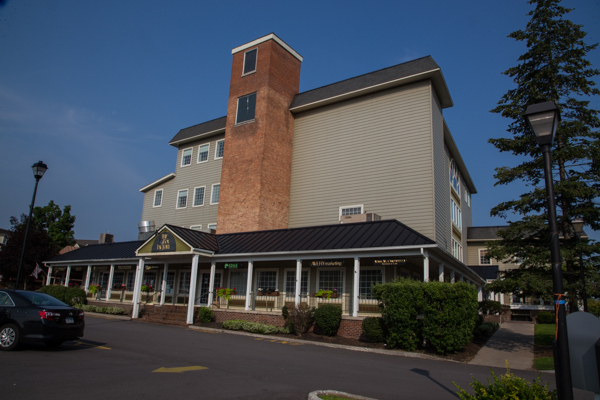 In its place, however, the owners constructed the building's latest reincarnation, which now serves as a Fairport mainstay for business and retail, officially known as The Box Factory.